Hi! My name is Connie Halcom, the proud owner of Rainbow Toy Poodles. For more than 25 years I have been raising toy poodles, which led to my passion 15 years ago of showing toy poodles to their championship title. I’m the top breeder of quality poodles in Utah. 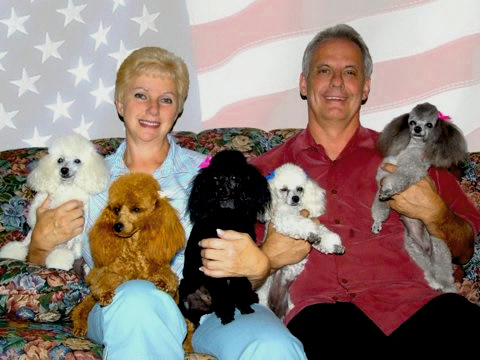 Rainbow Toy Poodles is a small hobby kennel breeding with passion to always produce the best the breed has to offer.